Although you might have missed them, pumptracks have been around for a while. Built for Mountain and BMX bikes, they are essentially mini-BMX tracks. An emphasis on rollers and berms rather than huge jumps and doubles make them all about generating and maintaining speed through pumping. 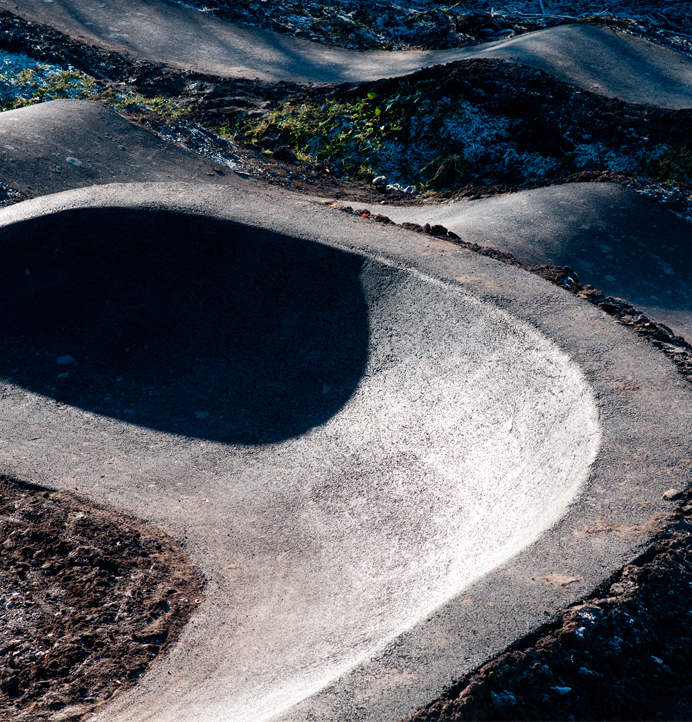 Recently we have seen some UK pumptracks getting a full tarmac treatment… which means it’s time to skate them! Our two-wheeled friends have inadvertently created perfect longboard and cruiser board friendly skate spots for us. A melting pot of concrete wave, old-school seventies skatepark and downhill moguls run, skating a pumptrack is one hundred percent flow, speed and fun. Grab a shorter, turny setup with some medium-soft wheels, and you’re set for hours of ripping. Something like a Lush Spacebyrd Day or a regular Chopper with turny street trucks and 60-65mm 83A-ish wheels would be spot on. The UK has a lot of bike-friendly pumptracks already, so get on to your local council to get your local one the tarmac treatment… it’ll cut down on their maintenance costs, and provides a facility that all wheels can enjoy. 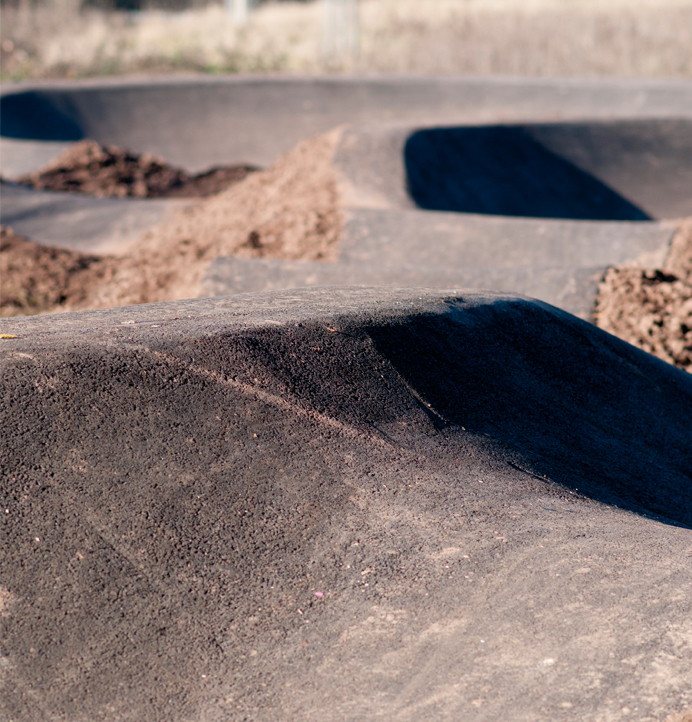 This movement has been growing within skateboarding and longboarding for a few years now, and it’s starting to gather momentum… find your nearest pumptrack and give it a try, you’ll see why!